We got our wedding rings from Christopher and it was beyond our expectations the rings are absolutely amazing. The service and the professionalism was second to none. 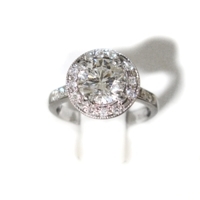 Christopher is an expert and did an incredible job, I have no hesitation in recommending Christopher highly and saying he is the best jeweller ever. Thanks again for our beautiful rings. Definitely worth a visit, you won’t be disappointed. 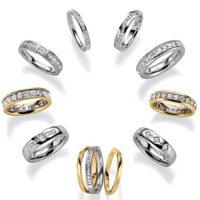 5* – Thanks so much for my amazing wedding and eternity ring over the moon with them. Highly recommend you.. It gives me great pleasure to write a review for Christopher. 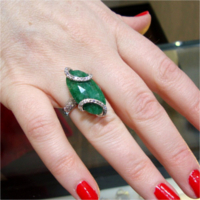 He made me the most beautiful Emerald & diamond ring. I came to him with a fake ring I had & asked him if he could make me the real thing. How alike the two rings are is unbelievable. There was no pressure from Chris & his professionalism is top class. I will be using Chris again in the future & recommending Him to everyone I know. Thanks again Chris, I just love the ring. 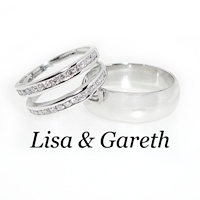 5* – Thanks a million for my beautiful rings, I am thrilled with them. Exactly what I wanted, fantastic customer service also! I really can’t recommend Chris enough. We got married four years ago and went to Chris to get a wedding ring made to fit around my Engagement ring. He couldn’t have been more patient or helpful. My mum had passed away a few years before the wedding and Chris used the gold from my mums wedding ring to make my band and made sure there was some left over for my sister when her time comes. Its four years on and our rings are in perfect condition still, and people often comment on how nice my wedding band is. In fact I showed it to a friend who is a jeweller and he couldn’t get over what a smooth fit the wedding band is with the engagement ring. And my husband’s ring still looks like new despite him never really looking after it carefully. 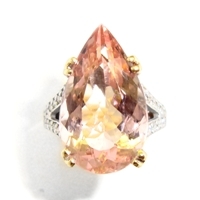 This year we went back to Chris and he has made me the most beautiful pink stone ring. Again he was so helpful and designed the exact ring I wanted. I really wanted to cry when I saw the finished article – again it was way past my expectations!! 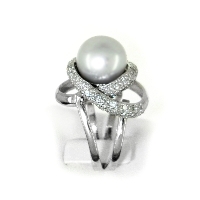 Chris and his team are so professional and helpful and the quality of their rings is unquestionable, yet the prices are fair. Christopher made my wedding ring, and I cant say enough about him. As my engagement ring was an unusual shape he designed my wedding ring and its better than I expected. He took the time to sit down and ask what I was looking for, and gave me his thoughts on what I could get. A lot of his stuff are one offs, and you wont see anything else like it. I def recommend him to anyone! 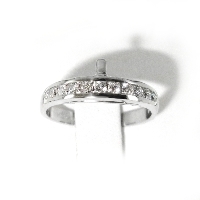 5* – Yipee I think this is my wedding band I saw it today for the first time and I am absolutely delighted with it! Thank you Christopher for taking the time to listen and help me design exactly what I wanted. I did not want to take it off! Christopher,Thank you sooooo much for my rings. 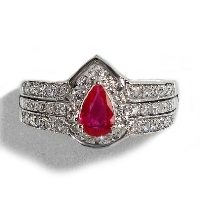 You did a fantastic job on re-modelling part of my engagement ring. Its stunning so original and i couldn’t be happier with it!!!! 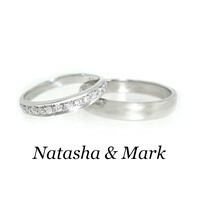 Mark and my wedding bands are beautiful and we cant wait to wear them now.. Thanks for your prompt and professional service and I will recommend you to all my friends. 5* – Don’t think I could talk him into another ring this yr,maybe next year Thanks again Christopher Murphy Jewellers spent the day geting compliments from shop assistants about my ring!! LOVE it! 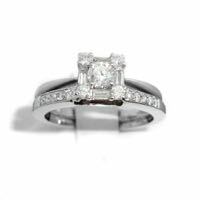 5* – We got our rings from Christopher Murphy for our wedding and we were delighted with them he knew perfectly how to match a band to my engagement ring and his one on one consultation gave it a very personal touch would definitely recommend him for buying rings for any occasion. 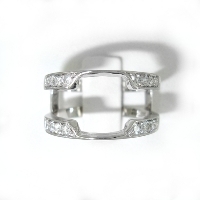 5* – Thanks so much for the gorgeous ring. It’s beautiful. All the excitement has me worn out! …It’s been such a great week. All the Best Ross Jackson and Me! 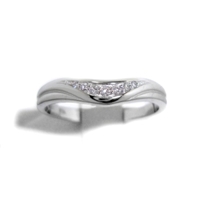 5* – Christopher Murphy Jewellers made my wedding ring to match my engagement ring and I absolutely loved it!! 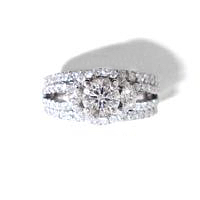 I had never heard of mounting an engagement ring, hopefully I’ll get my eternity ring to match soon too!!!! Fantastic Jewellers!!! We got Christopher to redesign my engagement ring and wedding band – I could not believe they were the same rings when we picked then up. So many people have noticed and complimented the fantastic job he did with my original rings and they also cannot believe what he did to make the original rings have the “wow” factor. I could never have imagined being so happy with my rings and am so appreciative to Christopher and have and would always recommend him to anyone. I will be looking forward to getting more lovely jewellery from him in the future!